Having trouble with your air conditioner? Call us now at 239.432.1500 for 24/7 Emergency AC Repair. 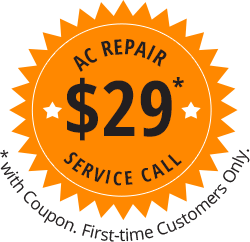 New customers, get your AC repair service call for only $29. Serving Fort Myers, Naples, Bonita Springs, Cape Coral and the surrounding communities. We’re your trusted source for reliable air conditioning repair in the Fort Myers, Naples, Bonita Springs and Cape Coral area area. Our certified technicians service all brands of air conditioning units. We understand that choosing an air conditioning repair contractor can be a daunting task, but once you see the way we do business, you’ll want us to be your air conditioning repair company! We understand central air conditioning is essential to your quality of life here in Southwest Florida. That’s why you can call us for emergency AC repair at any time of the day or night. Our technicians are honest and trustworthy experts that will get you well on your way back to comfort. $29.00* Service Call for new customers. We’ll figure out your problem and give you a written quote for necessary repairs. Qualified Service Technicians available 24/7, 365 days a year. Fully stocked service vehicles so we can fix your problem on the spot in most cases. We always charge a flat fee for our service calls. Many companies claim a free service call but then charge you a trip charge or a diagnostic fee. For a set price, we send one of our certified technicians to your home, diagnose the problem and quote you for the repair. No string attached. *$29 AC repair service call offer available to new customers only. Cannot be combined with any other offer or substituted for any other service. Unlike other companies, we don’t send out pushy salespeople to up sell you on new equipment when all you need is a good repair. We will present you with the best options for your home, family and budget. But if you have a major component failure, our service technicians will provide options for possibly replacing your air conditioning system. 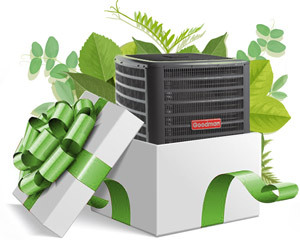 In many cases it makes more sense to replace an older air conditioner with a new system that carries a full ten year warranty than to make an expensive air conditioning repair. Florida Power and Light offers rebates for high efficiency systems and manufacturers provide rebates on air conditioning systems throughout the year. In most cases a new air conditioning system can cut your cooling costs in half, and with our special financing options available (with approved credit), your savings could cover most or all of your monthly costs. If your central air conditioner causing you problems or not working, call us for prompt service right away. Or, please fill out the service request form and we will contact you during normal business hours.